3D City model covers 100 km2 of dense urban CBD area of Barcelona. Visicom has currently finished 3D model dataset with advanced accuracy suitable for the needs of 5G planning, smart city planning, IoT. Source material - aerial imagery with the 20cm resolution that gives the opportunity to extract more accurate urban environment data giving detailed roof features and separate trees. 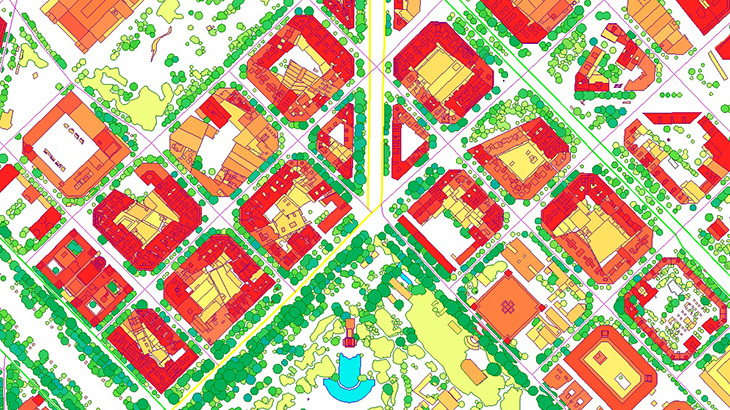 Download the free data sample of Barcelona digital model in order to explore more details. Our geodata catalogue includes over 4000 cities and 60+ countries.